The Oakland A’s took another step towards completing their 2019 rotation today, signing veteran right-hander Marco Estrada to a 1-year, $4 million contract. This comes just a few days after the A’s added another starter, claiming Parker Bridwell off waivers. Estrada, the 35-year-old whose career began in 2008, is coming off two of the worst seasons of his 11-year career. He tallied a 10-9 record in 2017, but posted a poor 4.98 ERA, 1.38 WHIP, 3.44 BB/9, 1.50 HR/9, 4.61 FIP and 30.3 GB%. He was even worse last season, going 7-14 with a 5.64 ERA, 1.43 WHIP, .284 opponent AVG, 3.13 BB/9, 5.44 FIP, 1.82 HR/9 and 24.0 GB%. There’s no highlight in those stats, as the past two seasons have been terrible across the board for him. Estrada was a top-of-the-rotation pitcher not too long ago, going 13-8 with a 3.13 ERA in 2015 and a 3.48 ERA in ’16. 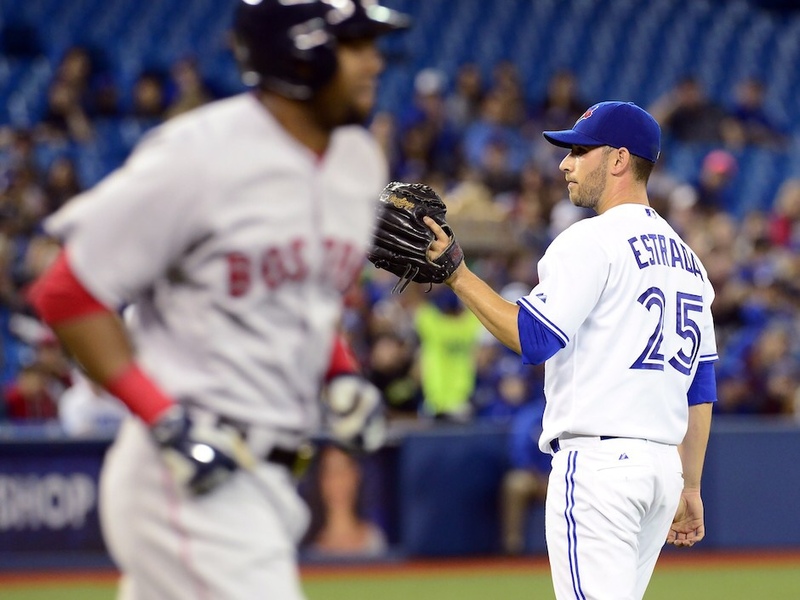 Just two years separated from that, Estrada may be able to get somewhere near to back the way he pitched then. Also, it helps that he signed with the A’s, who have a track record of reviving veteran pitchers’ careers. For reference, Edwin Jackson and Trevor Cahill were very productive on 1-year deals with Oakland last season, as each had one of the best years of their career. With another limited budget this offseason, the A’s are doing their best to work with what they’ve got, and have made a cheap signing with Marco Estrada. While it’s questionable Estrada can be productive in Oakland, it’s certainly possible that he could put together a solid comeback season.